Year 11 BTEC Music students at Woodham Academy organised a special performance for all students in Year 7 last month. The audience watched performances from students in Year 8 through to Year 11, including Grade 5 Saxophonist Rory Hubery and Year 8 students Emma Danby and Jennie Harrison. 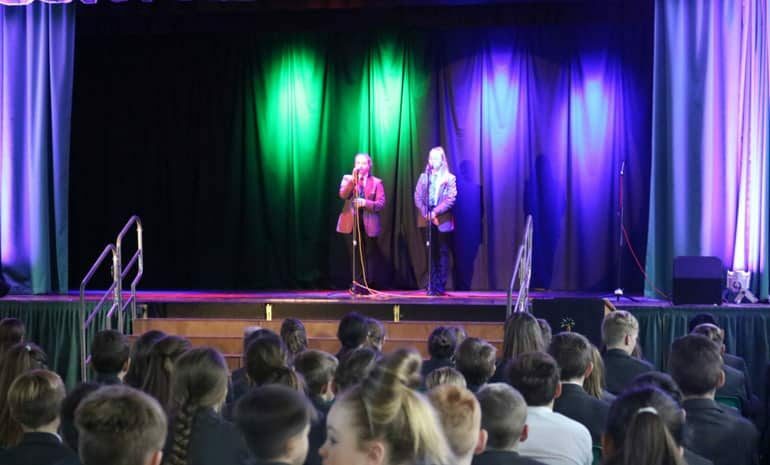 The event was a massive success, with Year 7 students commenting that they felt ‘the performance went well and the lighting was great’ and that they enjoyed ‘the variety of different performances in the concert’. This concert was organised as a rehearsal for the school’s annual Christmas Concert which the Year 11 students have been given the responsibility of planning. Head of Music, Mr Gales, said: “The group of students are working incredibly hard towards the planning of the Christmas Concert. 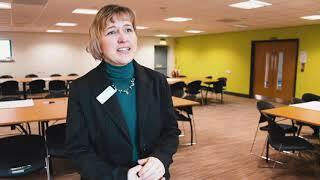 “They have learnt how to use the lighting and sound desk successfully and are now refining these skills in order to produce a high quality event in December. Year 11 student Ben Peacock said: “We decided to plan this event for the Year 7 students in order to gain experience for future events. The Christmas Concert will take place on Thursday December 13, with tickets going on sale in the next few weeks. This event will feature performances from students in all year groups including ensembles such as Dance and Gymnastics Academy, Woodham Sound, Advanced Choir and a sneak preview of this year’s musical Grease.